Vega Voile is a well respected local sailmaker. It should be pointed out here that the gênois is electric, which facilitates its positioning. Note again that the sailboat has a storm jib. GRP sail boat from the well known Jeanneau yard in 1998 This one has benefitted from on going maintenance and was a pleasure to discover. Signed by Doug Peterson, the Sun Legend 41 is a classy yacht well respected for its comfortable seakeeping ability. Its fittings, influenced by the search for performance, give priority to manoeuvres and the ease of movement on deck but without sacrificing a touch of luxury on the inside. The saloon is set in slightly curved horizontal shape. It is separated from the galley and navigation areas by a sculpted bulkhead. Quality wood joinery and fittings give a cosy feel of quality. For your comfort, the aft cabin and heads have a height under bars of 187 cm. The beam height from the rear to the front ranges from 196 to 181 cm. The double berths measure 170 x 190 cm. The owner of the yacht has covered many miles without problems neither with the rig nor with the sails. In terms of safety, the equipment is to be completed. Sailing cruiser for sale in the south of France. 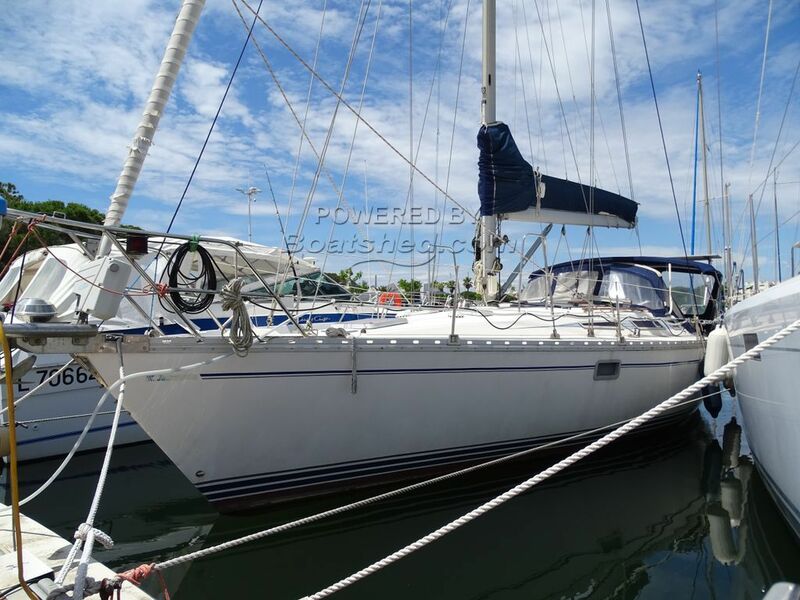 Boatshed Port Camargue is pleased to offer this Jeanneau Sin Legend for sale. Comfortable stylish cruiser with good performance our vendor has many miles trouble free miles under the keel. jib on electric furler. The mainsail and jib (electric roller furling on jib) date from 2010 and were made by VEGA VOILE at Le Grau du Roi. It is equipped with a PERKINS engine and a MAXPROP propeller. Its two cabins can accommodate six people in two double berths and two single berths. This Jeanneau Sun Legende 41 has been personally photographed and viewed by a representative of Boatshed Port Camargue. Click here for contact details.